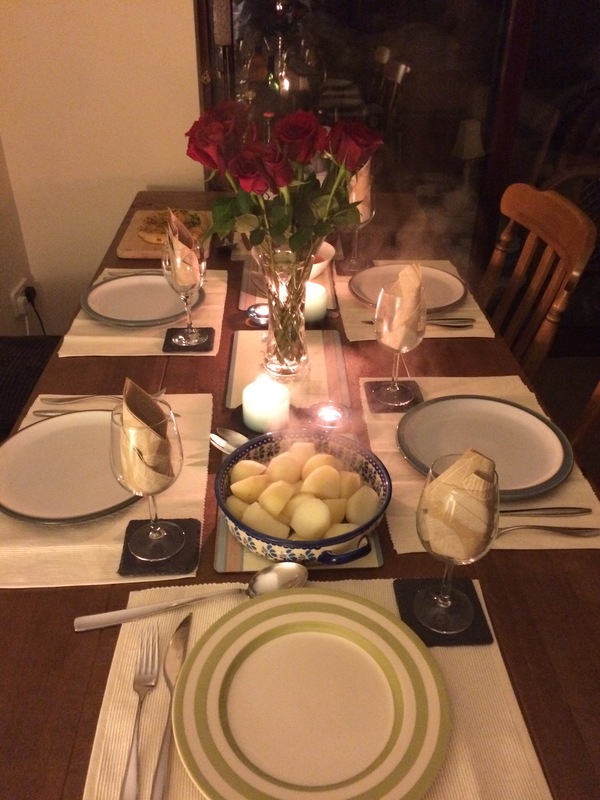 I was supposed to be elsewhere for the 14th February, thus I wasn’t expecting to have to cook anything that special. However as life is, nothing goes as smoothly as one would hope it would, and plans change. So I’ve been left with the challenge of whipping up something nice for dinner this evening. Mom and dad are here, my brother is visiting (he is extremely fussy when it comes to food) and I’ve invited my best friend Katie over to join us. As I look in my fridge, all I can see is chicken, chicken, chicken – which is great as Laurence likes chicken and ‘plain’ dishes. Perfect. Now what to do with it?! It’s kind of a dreary day outside; windy, rainy and dull. Dad’s already starting on the fire and I’m sitting with a hot water bottle in the kitchen, coffee in hand, pondering on what makes a simple, plain, yet tasty dish, which satisfies all needs of a good hearty dinner, with a special hint for valentine’s day. 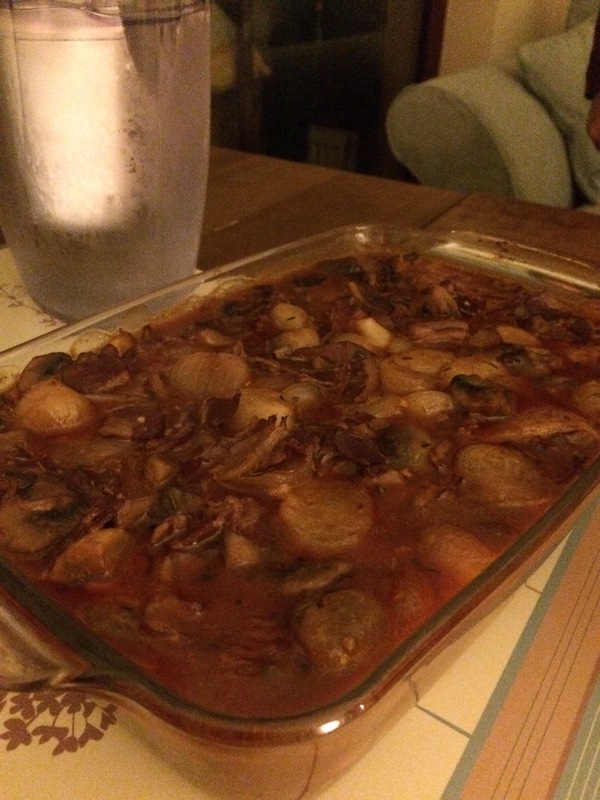 Hey presto – Coq au vin! I haven’t had time to put anything in the slow cooker, and I don’t have time to go out and buy any ingredients… what do we have in the fridge? 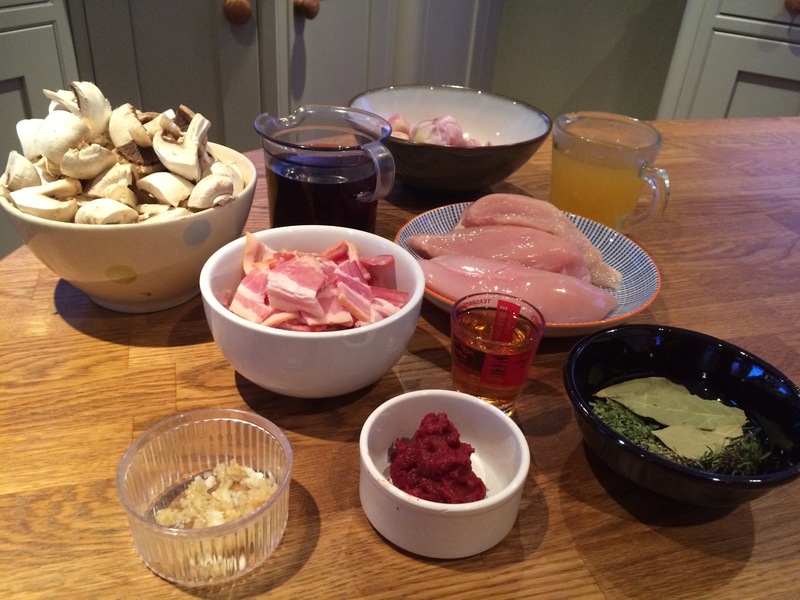 Chicken: yep, garlic: yep, bacon: yep, shallots: yep, mushrooms: yep, herbs: yep, stock: yep, and of course red wine: YEP! Toss chicken in the flour and shake away any excess flour. Drain all but 1 tbsp of the liquid from the pan and remove the chicken. Remove the chicken from the pan and simmer the sauce until thickened. 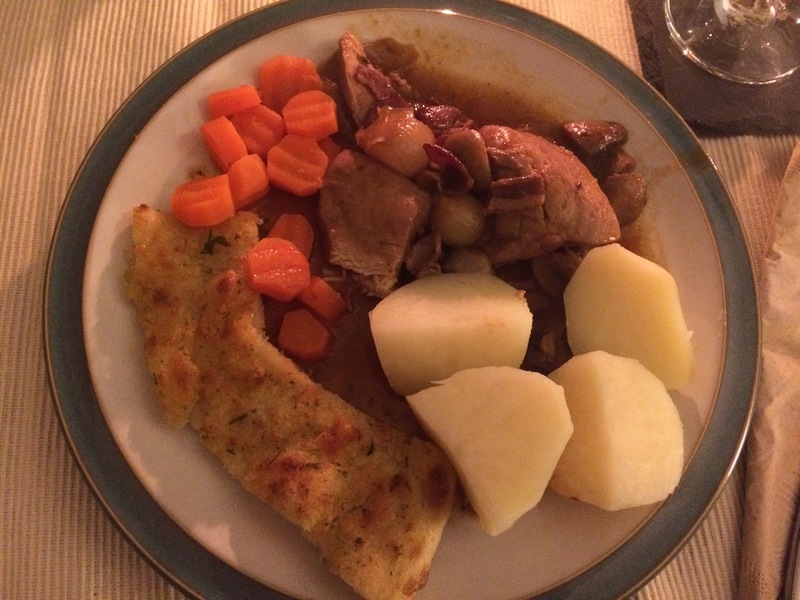 It’s the perfect combination of warmth and flavour with the simplicity that anyone can do it. Now for pudding? Uh-oh this could be a tricky one. Again, I’m limited for time and I need something that everyone will like. I know Laurence likes toffee, I know Mom loves custard, I know Dad is absolutely obsessed with dates (they have to be from Israel) and I know that Katie pretty much likes anything sweet… quick look in Delia’s Christmas specials…. 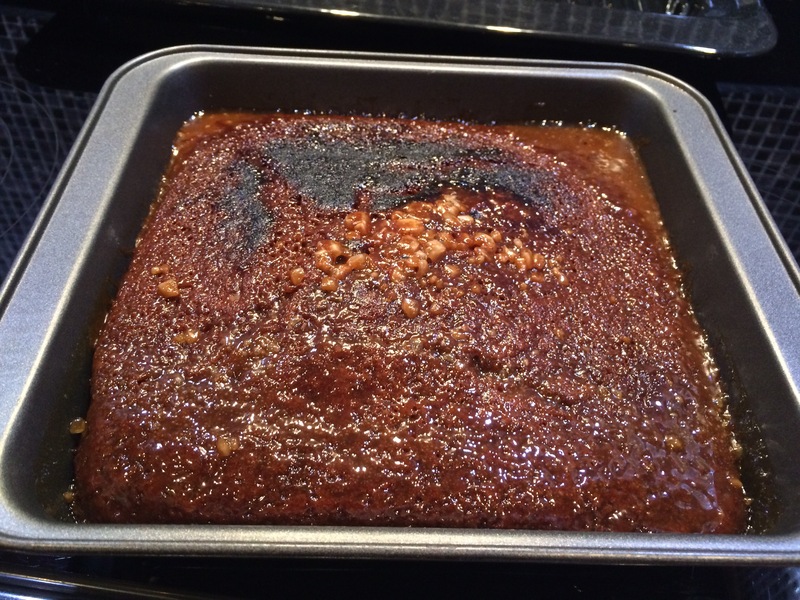 Sticky Toffee Pudding anyone? Yes please. Gradually add the beaten eggs, a little at a time, beating well after each addition.